According to the British Heart Foundation around 7 million people in the UK are living with cardiovascular disease. This includes all the diseases of the heart and circulation, such as coronary heart disease, angina, heart attack, congenital heart disease and stroke. To reduce your risk of cardiovascular disease it is important to follow some heart-healthy habits. We spoke to the experts to get their tips. “A healthy diet is so important to prevent the risk of developing heart disease,” explains dietitian Emer Delaney (www.myprivatediet.com). “Some foods such as liver, beef and sardines contain the vitamin-like substance co-enzyme Q10,” says Dr David Mantle, medical adviser at Pharma Nord (www.pharmanord.co.uk). 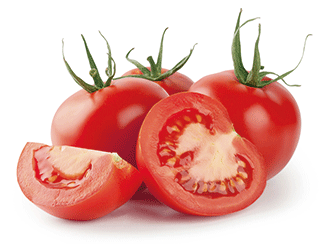 “Tomatoes are packed full of the powerful antioxidant lycopene, which is a plant sterol that really packs a punch,” says Sarah Flower, an author and nutritionist working with Cardiomato, a new optimised tomato-nutrient complex. “Not only can it help to lower cholesterol and high blood pressure, it can also help with arteriosclerosis (hardening of the arteries) by supporting the endothelial cells.” (These form the inner lining of the blood vascular system). A new research review, which analysed more than 20 different studies, has revealed the benefits to heart health of eating oats. Oats significantly lower ‘bad’ LDL cholesterol thanks to the rich content of a special soluble fibre, called beta glucan. The cholesterol-lowering ability of diets containing oats has been compared favourably with statins. In one clinical study, a portfolio diet rich in oats lowered LDL cholesterol by 30 per cent after four weeks while statins lowered it by 33 per cent. The review, which was led by registered dietitian Dr Carrie Ruxton, and commissioned by the Breakfast Cereal Information Service, was published in Network Health Dietitian. 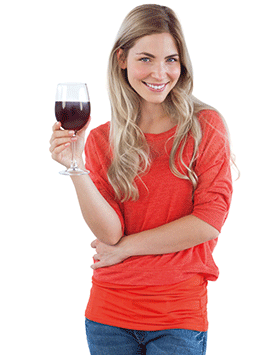 Good news for wine drinkers! “The French paradox is the observation of low coronary heart disease death rates within the French population despite a high intake of saturated fat,” says Aimee Benbow, technical services manager with Viridian Nutrition (www.viridian-nutrition.com).